San Diego Comic-Con ended its four-and-a-half day run this past Sunday. 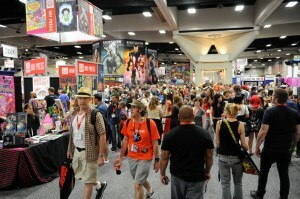 If asked to summarize Comic-Con in a single phrase, a good choice might be “revenge of the nerds.” San Diego Comic-Con is where popular culture fans of all stripes assemble to revel in their love of comic books and related science fiction and fantasy themed movies, television shows and literature. The event is also evidence of the increasing power of fan culture in Hollywood and beyond. The author of this post, Kendall Whitehouse, is new media editor at Wharton and contributing editor for technology and media at Knowledge@Wharton. He attended San Diego Comic-Con last week.